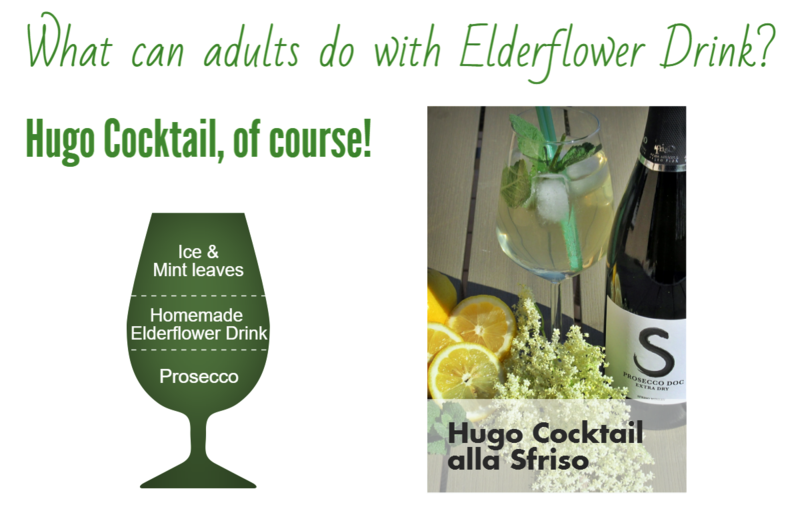 Here is a guide to making homemade elderflower drink for children and how to use that to make Sfriso Hugo Cocktail for adults. A delicious seasonal treat for the entire family. 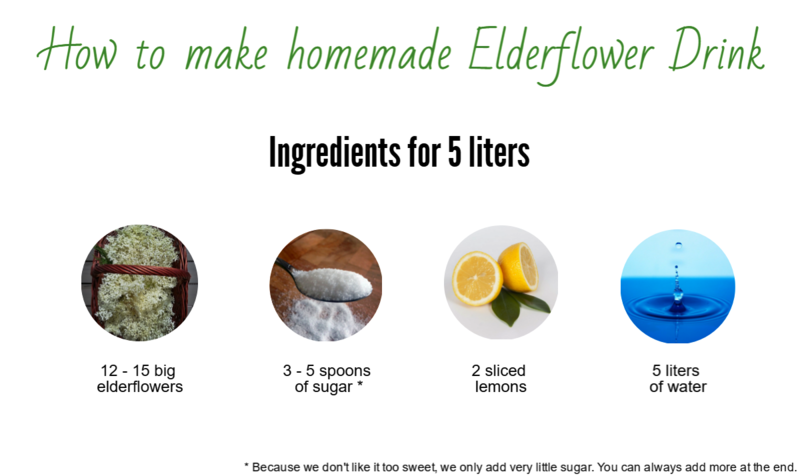 This is the time of the year when Elderflowers bloom and we can’t help but think of ways of using the flowers to make some healthy homemade drinks and cocktails with them! 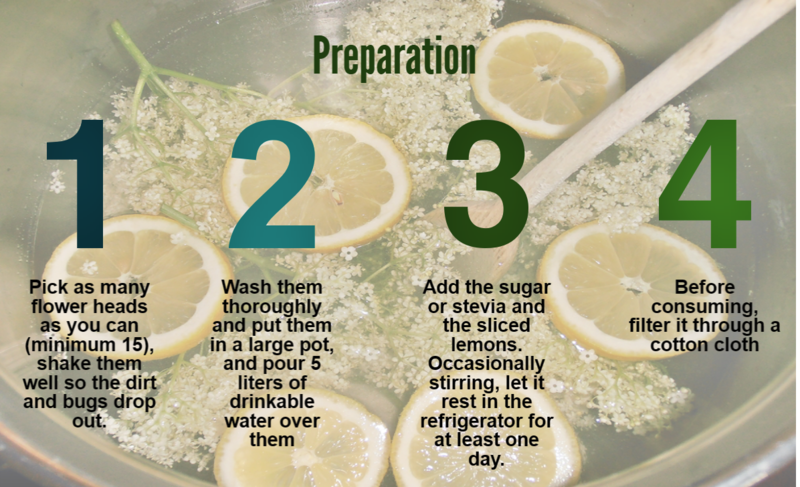 When I was little, my grandmother used to make this drink from the elderflowers that would blossom around her house. It was a fascinating process because it meant getting my hands sticky by picking the flowers and preparing the drink. The scents, colors have remained imprinted in my memory, but mostly the experience of doing something together with my grandma. Today, we have our daughters pick the flowers to make the same drink my grandmother used to prepare for me. However, apart from being a very refreshing drink, elderflower and elderberries have many health benefits too and very few people know about them. According to the Maryland Medical Center, elderberries contain powerful antioxidants and phytochemicals that help protect our body from free radical damage. Its vitamins and phytochemicals, like flavonoids and quercetin, give elderflower its anti-inflammatory, anticancer and antiviral properties. The herb is also an effective diuretic, laxative, and insect-repellent. This light refreshing drink is loved by children. However, here’s a tip: if you leave the pot outside in room temperature it will referment, develop a little alcohol content and becomes a little fizzy. Società Agricola Sfriso di Sfriso Pier S.n.c.